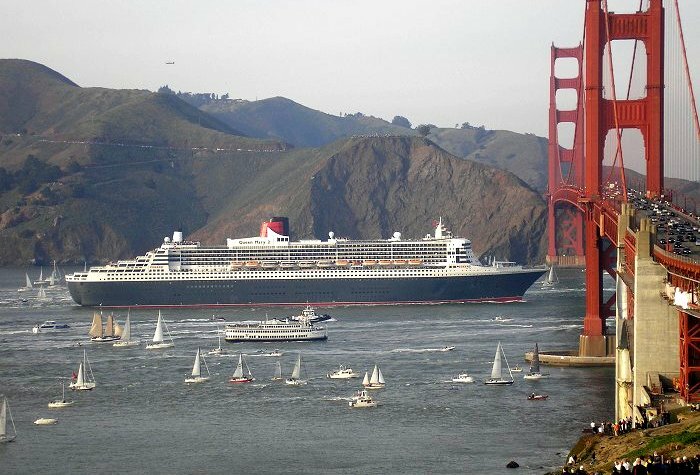 sailed into San Francisco under the Golden Gate Bridge. We went out to see her first ever arrival to the city. 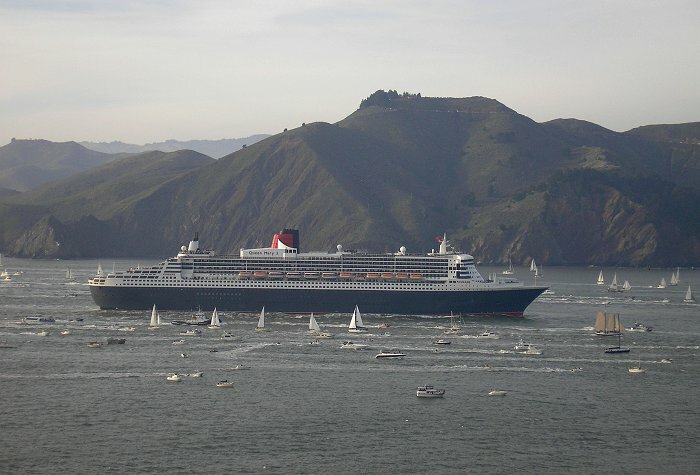 to arrive in the area to await the arrival of the Queen Mary 2. 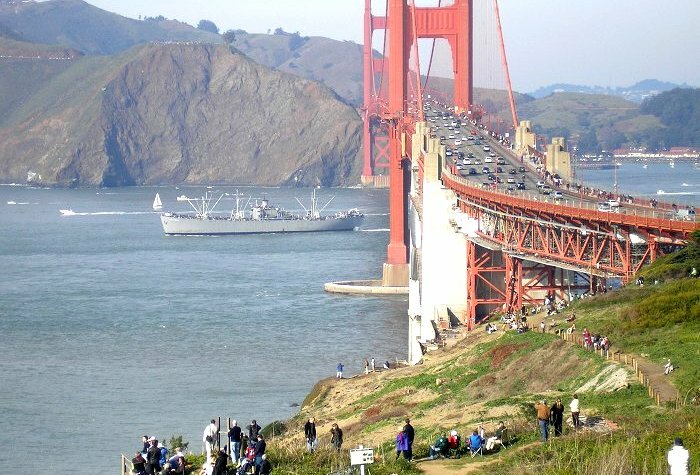 The World War II Liberty Ship Jeremiah O'Brien heads out to meet the Queen. 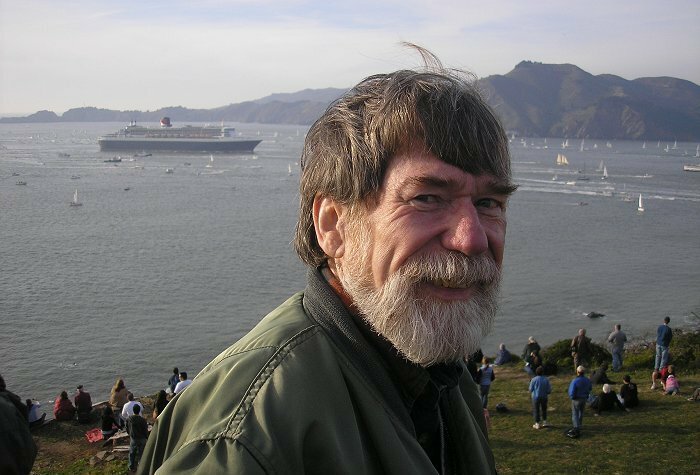 The O'Brien was joined by hundreds of sailboats and yachts. 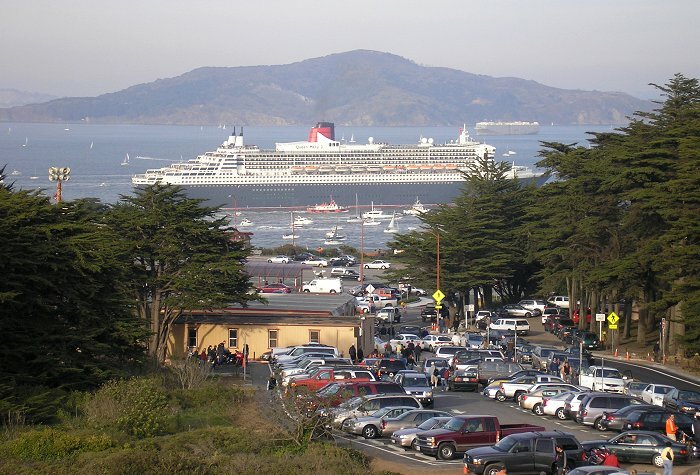 Just before 3 o'clock we see the Queen Mary 2 come into view in the distance. Note the image just to the right of the arrow. 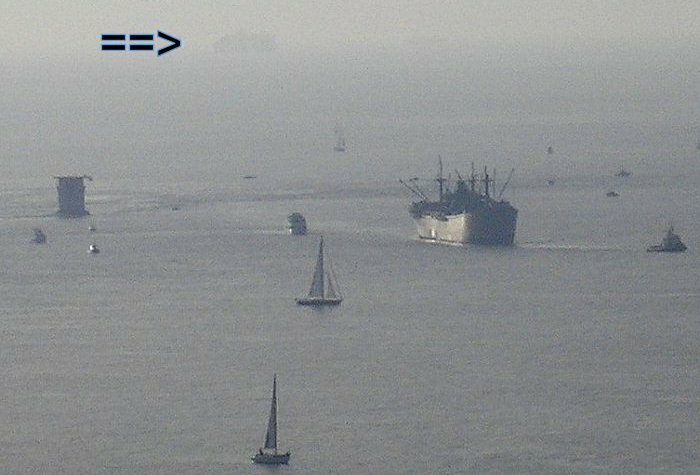 As she gets closer, we get to see how large of a ship she really is. 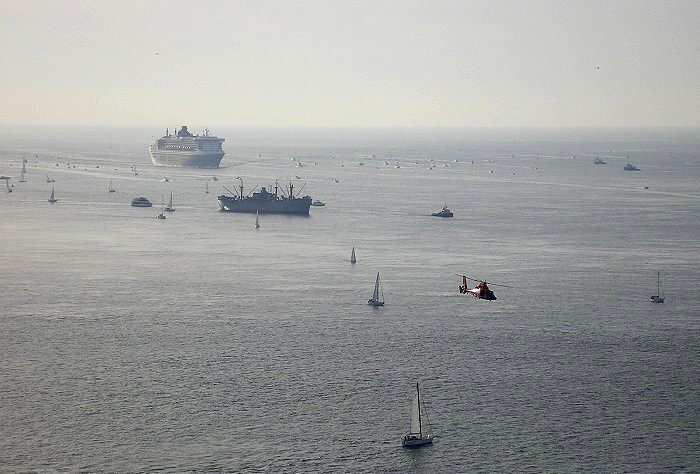 Note the Coast Guard helicopter flying by low in front of us. 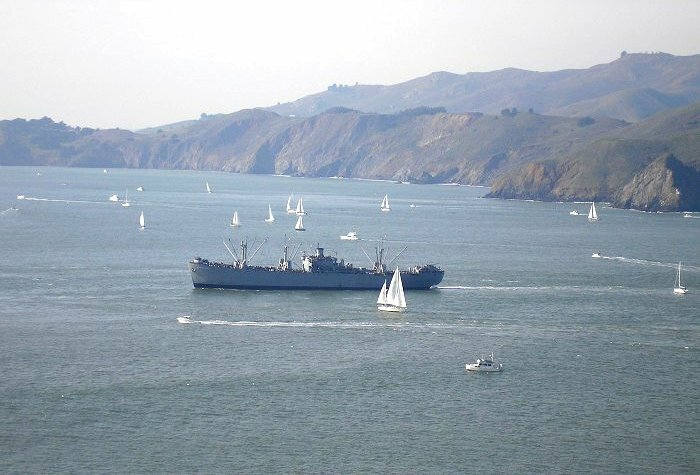 The ship dwarfs all of the other boats and ships as she passes the Marin Headlands. 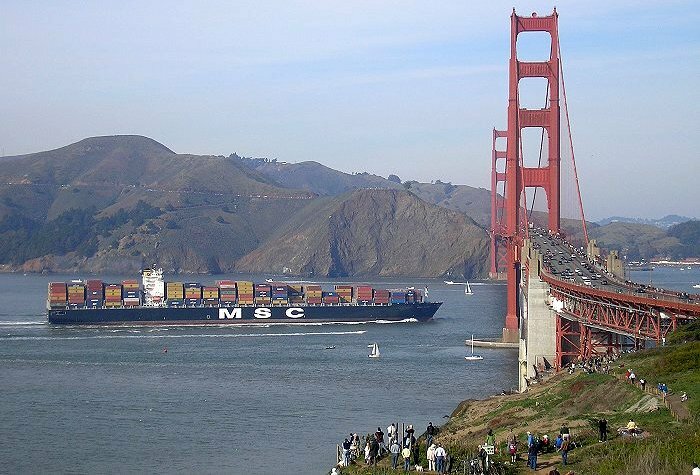 Golden Gate Bridge. A large crowd watches from the sidelines. 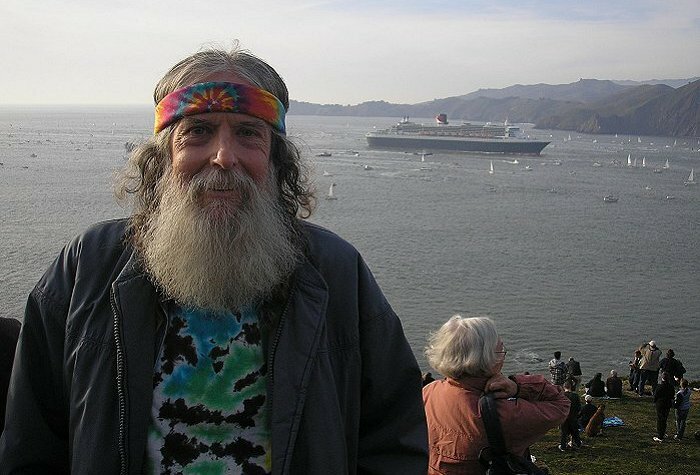 a series of blasts in return from the Golden Gate Bridge fog horns. 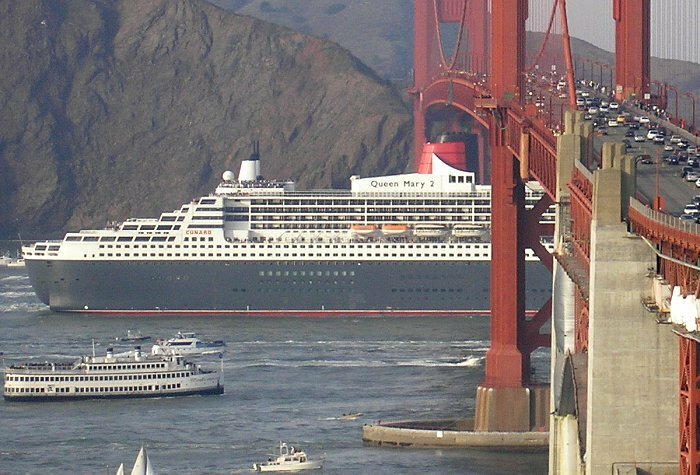 The Queen passes under the Golden Gate Bridge. 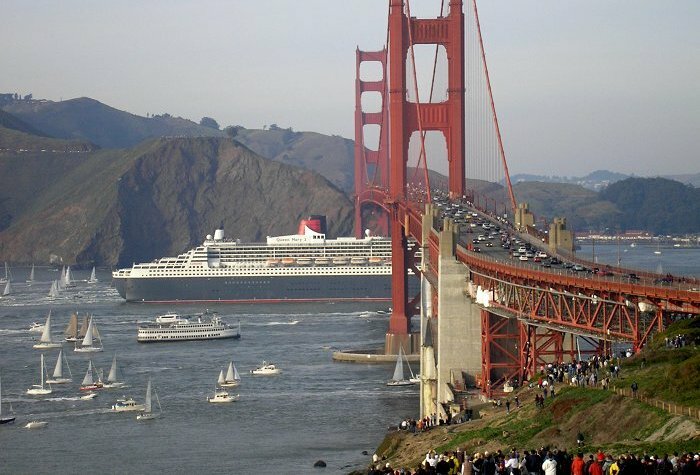 There was just 20 feet of clearance between the ship and the bridge! 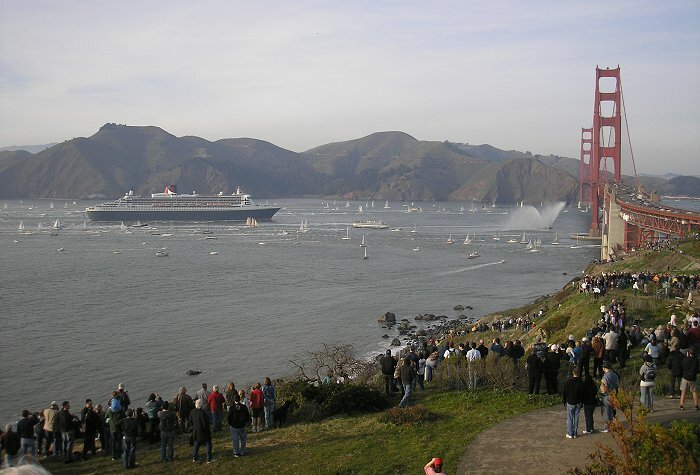 The Queen Mary 2 enters San Francisco Bay. 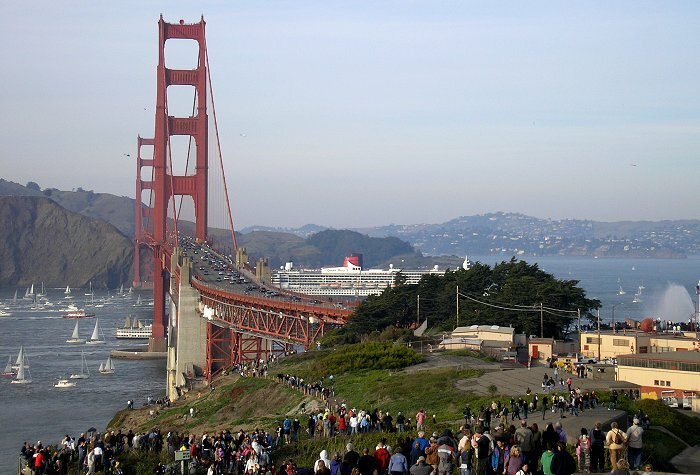 The ship passes Angel Island on her way to Pier 27. 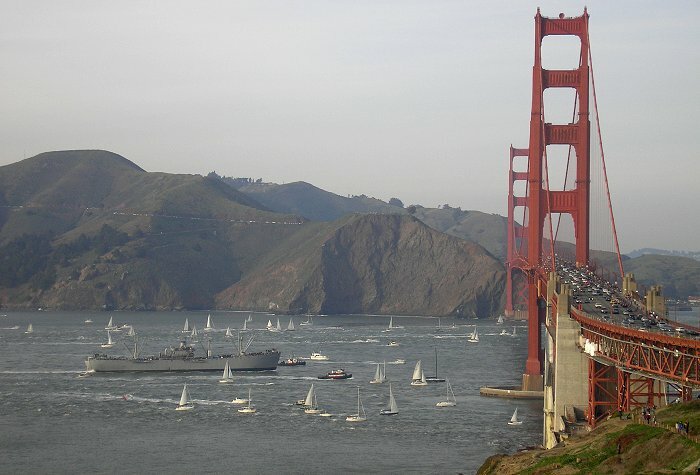 The Jeremiah O'Brien returns to the bay after welcoming the Queen. 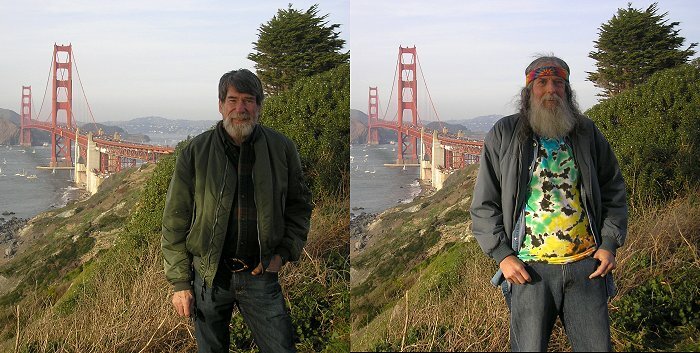 Two side by side photos of Larry and Bill as they leave the Golden Gate Bridge area.